There is another video game available for pre-order in your local Tesco store. This means there is another way to pick up some cheap Clubcard points. This offer is definitely NOT a no-brainer however as the price per point is high. You should only do this if you have a planned use for the points, such as Goldsmiths vouchers or Safestore vouchers. You need to find an empty box instore and take it to the cash desk. You pay £5 and are given a voucher for £5 off the game when it is released and a guarantee that a copy will be available on Day 1. You also receive 250 Clubcard points into your account immediately. There is NO obligation to ever return to pick up your reserved copy …. The game is available for various consoles. Experience shows that you are OK to buy 1 version for each console but not multiple versions of the same game. Tesco is likely to strip your points for bulk-buying if you do. 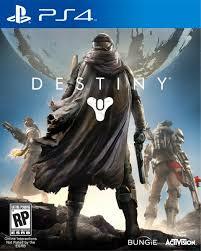 You can also pre-order Destiny on Tesco Direct. This is not worth doing unless you want the game, however, as you need to pay the full £40 cost upfront. The offer runs until November 27th.